The HPDI Rejuvenation Program provides practices, protocols, and recommendations proven effective over nearly three decades. It is a complete program to rejuvenate, regenerate, and boost vitality to body, mind, and spirit. It is especially helpful for those who want to restore health. The program emphasizes establishing basic nutrition, foundational supplement formulas, and high-RNA Rejuvenate!™ superfoods and other sources of dietary nucleic acids. The program rests on six elements: 1) Attitude/Commitment, 2) Detoxification, 3) Preventing Toxicity, 4) Health Building Nutrition, 5) Building Powerful Immunity, and 6) Supporting Protocols. The six foundational elements remain powerful individually, but act synergistically when combined to support optimal health. The results are greatly improved capabilities for your body to heal, regenerate, rejuvenate, and restore its vitality. In Part Nine of the Rejuvenation Program, we discussed Acupuncture and Traditional Chinese Medicine, which is an important supporting protocol in the Master Rejuvenation Program. In this article, we present another supporting protocol in our Rejuvenation Program: the Yoga Program. The Yoga Program is an important protocol within our Rejuvenation Program that builds strength, increases flexibility, and enhances movement of blood, lymph, and energy throughout the body. It has been said that where there is stasis of blood, lymph, and energy there is illness. In this regard yoga joins our other supporting protocols that enhance cellular health throughout the body. In addition, yoga works to significantly reduce stress and enhance overall well being. Yoga refers to physical and mental disciplines and meditative practices that developed within the spiritual and philosophical traditions of ancient India. The topic of yoga is large and complex due to its relationships with these traditions. However, modern yoga derives from these traditional practices. Yoga in the West primarily is associated with “Hatha” yoga, including its asanas (poses) and pranayama (regulation of breath) both historically practiced by Hindu yogis to prepare for meditation. There are many different styles or schools of yoga available for individuals interested in practicing it. Some are more vigorous than others. In addition, most yoga studios offer a variety of classes that can include gentle or restorative yoga, and levels from beginner to advanced. While often viewed as solely as a form of physical exercise that can offer improved flexibility and useful for stress reduction, yoga actually provides many more benefits for body, mind, and spirit. In this sense, it can be seen as a holistic practice that integrates many aspects of being. From the perspective of physical rejuvenation, benefits include increased circulation of blood and lymph, greater oxygenation of tissues, facilitation of detoxification processes, improved physical alignment and flexibility, reduction in stress chemicals, improved digestion and/or elimination, and support for cleansing of tissues and organs. This list of benefits is partial, meaning that benefits a person can gain not only include most of these benefits, but also many others depending on individual needs and how a practice is customized to meet them. In addition, many long-term practitioners of yoga find that the benefits continue to accrue over time. For example, physical conditions, mental or emotional states, and even spiritual connectedness can be significantly improved through regular practice. As a practitioner of yoga for over a decade, I can personally attest to the capacity of yoga for supporting a lifestyle that promotes health, harmony, peace, acceptance, non-attachment, healing, and rejuvenation. I have gained nearly every benefit in the list above and many more. I have also noticed a greater opening to hidden dimensions of life, as well as increased overall contentment under all circumstances. Yoga is an ideal activity for rejuvenation, regeneration, and restoration. Beyond the benefits of regular practice by itself, yoga also is an excellent adjunct to both other forms of exercise (e.g., walking, hiking, biking, running, swimming, weight-bearing exercise, group sports, tai chi, etc.). This is not only because few types of exercise improve flexibility and range of motion to the same degree as yoga, but also because it adds additional dimensions (improved functional capacity, relaxation, & meditative elements) that complement other forms of exercise. In fact, yoga might be considered one the most complete or “total” types of practices because it can offer both effective physical exercise and elements of relaxation that promote connection between body, mind, emotions, and spirit. Circulation of Blood. Blood circulation brings life-sustaining oxygen and nutrients to cells. Just as importantly, it removes wastes/toxins and prevents stasis. This helps to move toxins to elimination channels and to counteract and prevent blockages or accumulation of toxins. Improved circulation itself is rejuvenating to the body. Movement of Lymph. Whereas the heart can circulate blood, the lymphatic system has no central pump. The body must move for lymph to flow properly. Lymph is part of the circulatory system, removes toxins, and serves as a medium between the blood and cells. It is also an integral part of the immune system. Lymph can be moved by the practice of deep breathing (e.g., via pranayama or yogic breathing), but the combination of physical movement with breathing found in yoga is an ideal way to move it. Organ Massage. Yoga effectively provides a massage to organs in the body, including the organs of detoxification (e.g., liver, gallbladder, kidneys, bladder, etc.). This serves to support optimal organ function, and therefore support and maintain their detoxification functions. Better Alignment. Our bodies (especially our skeletal structures) are subject not only to the forces of gravity, but also to misalignments resulting from poor posture, work habits, sedentary living, insufficient movement, overuse or misuse, or activities that actively or passively lead to misalignment. Yoga tends to realign our body structures naturally through stretching and poses that bring these structures into balance. During a time when many individuals spend extended periods in front of a computer screen (and/or behind a driver’s wheel) holding less than natural positions, yoga is an effective means to realign the body and to help reestablish the natural posture that is necessary to maintain good health. Gastrointestinal Function. Yoga is known to improve digestion and intestinal function and therefore can support better nutrition. The proper processing and assimilation of nutrients is critical for processes of energy production, detoxification (by supporting energy production and providing nutrients required by detoxification organs), and rejuvenation. Improved Elimination. Properly functioning elimination channels are critical to detoxification and rejuvenation. The movements involved in yoga support and facilitate elimination of wastes that carry toxins from the body. As toxins are mobilized, captured/sequestered, and then removed, body functions improve, resulting is rejuvenation and healing. When elimination functions are compromised, toxins can accumulate to adversely affect health. Improved Metabolism. Proper and balanced metabolism is critical for detoxification and rejuvenation. When metabolism is compromised, the body may not effectively remove toxins or may develop problems related to gastrointestinal or elimination functions. Yoga improves metabolism and helps it to remain in balance. Greater Energy. Yoga promotes improved levels of energy and better flow of energy in the body. As noted, energy is required for processes of detoxification, but also for assimilation of nutrients, and overall body function. With greater energy comes greater functional capacity and often an improved attitude and outlook. Stress Reduction & Positive Mood. Numerous studies indicate yoga helps reduce stress and improves outlook. This partly relates to the fact that yoga, like other forms of aerobic exercise, reduces stress chemicals, and naturally produces endorphins and other substances that reduce pain and boost mood. However, other benefits like greater energy, better alignment, and improved elimination not only contribute to stress reduction and positive mood, but also create a more balanced mental and emotional state less prone to stress. The cumulative benefits prevent the body-mind from overreacting to external stressors, thereby preserving a balanced state of mind. Mind-Body-Spirit Connection. This perhaps is the most important benefit of yoga. Few other forms of exercise provide a connection between the body, mind, and spirit. Breath is typically matched with movement in ways that bring calm, peace, and integration. In addition, many forms of yoga end with the practice of “shivasana” (either lying down or sitting) for the purpose of relaxation. This practice is intended to unite body, mind, and spirit. Whether you are young, middle-aged or older, practicing yoga brings many benefits, including supporting rejuvenation. It fact, yoga may surprise you with what it provides in terms of creating overall health and well being. Few exercises are as rejuvenating, tonifying, and relaxing for the entire body. Certain of my friends feel invigorated from a power yoga class while others gain relief from restorative yoga classes. There is a yoga style to suit every need. Typically, a home practice may be supplemented with classes at a studio, and vice versa. It’s easy to see how yoga can become a way of life. However, practicing just once or twice per week will bring noticeable positive changes into your life. We include the practice of yoga as one of our supporting protocols because we know how powerful it can be as modality for improving and maintaining health. Over the years we have been extremely fortunate to experience and witness for ourselves the rejuvenating effects yoga confers on everyone who practices it. Supporting protocols are a major part of HPDI’s Rejuvenation Program. These protocols work together powerfully with the other foundational elements of the Rejuvenation Program to create health. Indeed, they often work directly to detoxify, prevent toxicity, boost immune function, leverage the benefits of a solid nutrition program, and build vitality. You may not always be able to follow all supporting protocols in our Rejuvenation Program, yet the more you can do, the better. Because each supporting protocol supports the body in a different way, the cumulative effect is to create favorable conditions in the body that support, build, and maintain great health, naturally. When you combine the supporting protocols with the other primary elements in the Rejuvenation Program, the results speaks for themselves: rejuvenation, regeneration, healing, and health. We hope you benefit from our recommendations. Rejuvenation Program Part Nine: Acupuncture. Supporting Protocols Part Four – Acupuncture and Traditional Chinese Medicine (TCM). Rejuvenation Program Part Eight: Massage. Supporting Protocols Part Three – The Massage Program. Rejuvenation Program Part Six. Supporting Protocols Part One (garlic, hydrotherapy, and sauna therapy programs). Rejuvenation Program Part Five. Beyond foundational supplements. Seven enhancement supplements that supercharge your health. 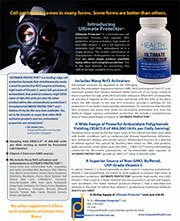 CoenzymeQ10 and/or Ubiquinol, Myo-Mag, Hepa Plus, Nascent Iodine, Echinacea, Immune-Assist™. Rejuvenation Program Part Four. 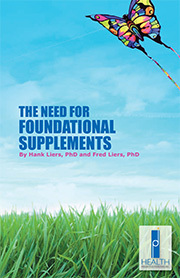 The role of foundational supplements (multivitamin, Vitamin C / antioxidant formula, Rejuvenate!™ superfoods) for health. Rejuvenation Program Part Three. Health building nutrition and the role of dietary nucleic acids (RNA, DNA, nucleosides, and nucleotides). Rejuvenation Program Part Two. Foundational elements in the HPDI Rejuvenation Program: 1) Attitude/Commitment, 2) Detoxification, 3) Preventing Toxicity, 4) Health Building Nutrition, 5) Building Powerful Immunity, and 6) Supporting Protocols. Rejuvenation Program Part One. Introducing the HPDI Master Rejuvenation Program and its foundational elements. The importance of Attitude/Commitment.